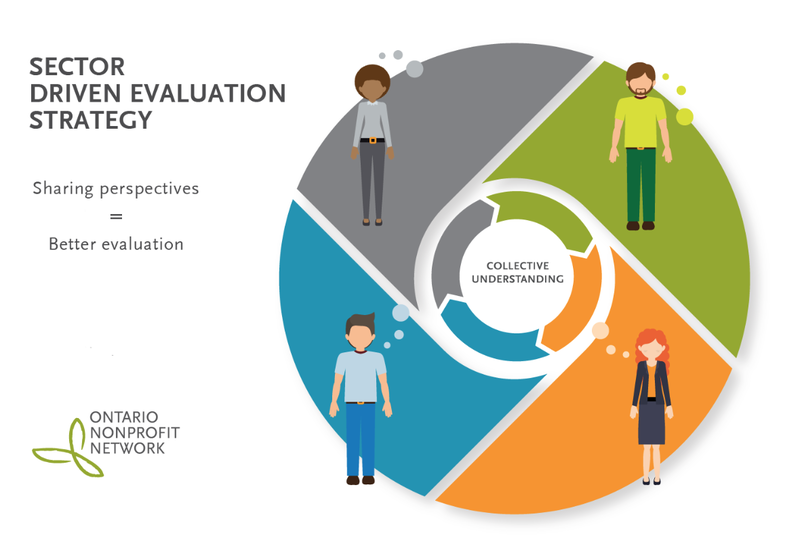 Over the last year, Taylor Newberry Consulting has been working with the Ontario Nonprofit Network on the development of a Sector Driven Evaluation Strategy. In this process, we have learned that one of the tricks to succeeding at outcome evaluation happens before you even get to the stage of designing surveys or completing reports. It involves focussing your measurement on a small number of concrete, measurable outcomes that are more or less within your control. Picking those outcomes can be challenging, and explaining them effectively to your target audiences can take some practice. So, one of the first steps in measuring impact is getting into the habit of talking about your work in impact language. This blog offers a few simple tips that might be helpful, even if you don’t have a lot of impact data yet. Tip #1: Build your message to talk about the specific action you are taking. Tip #2: Explain why your plan for impact is viable. Tip #3: Avoid outlier stories that don’t link strongly to your core outcomes. The first example seems to suggest that the program is focused on getting people jobs — even though it is a basic life skills program, focused on helping people who are not yet ready for independent employment. The second version uses the same story, but explains clearly how the story is an illustration of the program’s core work. You wouldn’t trust a salesperson who told you that their miracle cleaning product was equally effective on kitchen counters, aluminum siding, and silk shirts. But nonprofits sometimes make the mistake of claiming too many outcomes — rather than zooming in on the specific, concrete things that their program does really well. Nonprofits take great pride in their willingness to be flexible and their commitment to meet the unique needs of each client, and often do achieve a wide range of outcomes. Programs that most effectively communicate their impact, however, focus on the three to five concrete, short-term outcomes that are at the core of their operations. Have you ever had a friend return from an exotic destination and tell you that you simply must go see it for yourself? You know your friend had a wonderful time but you aren’t really any further ahead in deciding whether this destination would be a good fit for you. A tourism company wouldn’t last very long if it couldn’t effectively communicate the value of a destination in a way potential visitors understood. Great marketing goes beyond simply listing the features of a destination. It focuses on outcomes that matter to you. 1. Focus. Talk about a small number of outcomes that are in your wheelhouse. Talk about them consistently. 2. Listen. Show that you know and use local research on social issues. Show that you know your unique niche and how your work complements and enhances what others are doing. 3. Share. Show that you are committed to ongoing feedback. Show that you can contribute useful data to a shared impact report. Acknowledge your mistakes as well as your successes. Demonstrate that you have learned from your evaluation and that you are adapting. 4. Engage. Seek out opportunities to talk about impact and to understand it in more depth. Using your own behaviour as an example, invite your funders and partners to focus, to know their context, and to share. I believe that the TNC team is well placed to deliver truly useful results. Our research leads to action, period. That’s unique in our business. It is really great to work with a team so dedicated to helping groups deliver better services and to feel more motivated and engaged with their communities. It is what we do best and we have fun doing it. I think that translates into a great customer experience. For me, building close relationships with our clients is a key part of our approach and a big part of why I love working at TNC. What Does Housing First Mean for Youth?